Much better than the last couple of efforts, but nowhere close to what he is capable of doing. It should be applauded that at least this was a step in the right direction. Perhaps the so called "retirement" was now ceasing. 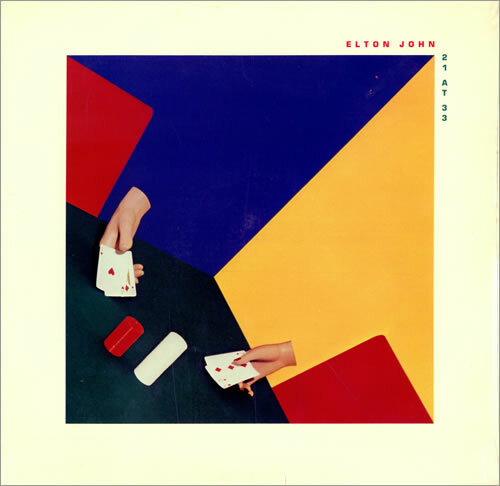 The decade of the eighties began with disco music dying a torturous death, and on this record we can see small traces of the grandiose style that Elton would begin to incorporate in later releases. Smartly, he began to work with familiar faces again. In addition to some collaboration with Dee Murray, Nigel Olsson and James Newton Howard, Elton uses a wide variety of other musicians that smartly influence his work. Even many of The Eagles join in for White Lady White Powder. Bernie Taupin is back, at least partly. He pens three of the songs on the album. Ironically, it's the other tunes that stand out better. The hit single (for which he hadn't had in quite some time) was a Gary Osbourne written Little Jeannie which is by far the most pleasant piece on the record. Also worth mentioning are Tom Robinson's Sartorial Eloquence and the pretty Never Going To Fall In Love Again. Understandably, however, it's easy to see that melody would always be the key factor, and, even though Bernie's presence is always welcomed, it's not always a bad thing for other collaborations. Example: although the lead off track by Bernie, Chasing The Crown is a promising start of things to come, Two Rooms at the End of the World (an autobiographical song of Elton and Bernie's situation at the time) leaves the listener flat. Conversely, Gary Osbourne's Dear God is touching plea for understanding and compassion, whereas his piece Take Me Back is pretty forgettable. One must look deep to find the positives.